But I had to have one! And not just any dandelion, but in my mind, I saw the perfect dandelion on the cover of this book. 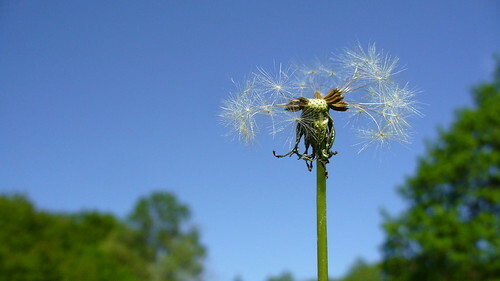 It would have to be a proud dandelion, mangled yet resilient, hanging onto its last few seeds, standing tall with its face to the sky. 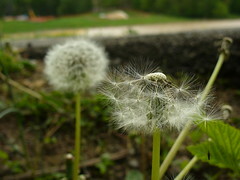 (As you can see, I am quite serious about my dandelions, folks!) 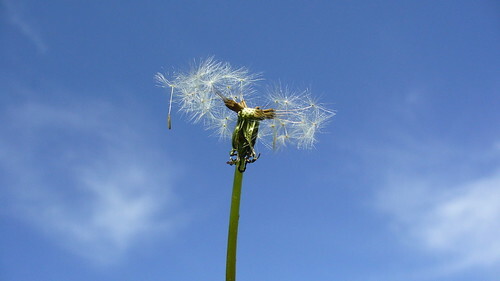 Because as a collection, the stories and poems are about just that, hanging onto your last few seeds, standing mangled but proud with your face to the sky? Or something. 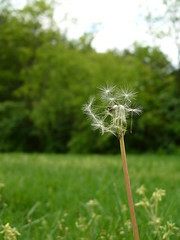 In the end, I’m still not sure if I’ve found the *perfect* dandelion photo for the book cover. Or perhaps the final image will be a mash-up of a few of these photos. The photo I chose for this week was just the one I liked best as an individual shot. Anyone have a room like that I could borrow? Some of those shots are just gorgeous! I think the one that you’ve chosen suits the “mangled yet resilient, hanging onto its last few seeds, standing tall with its face to the sky” perfectly. Yay, you got your blue sky! That’s a beautiful shot.